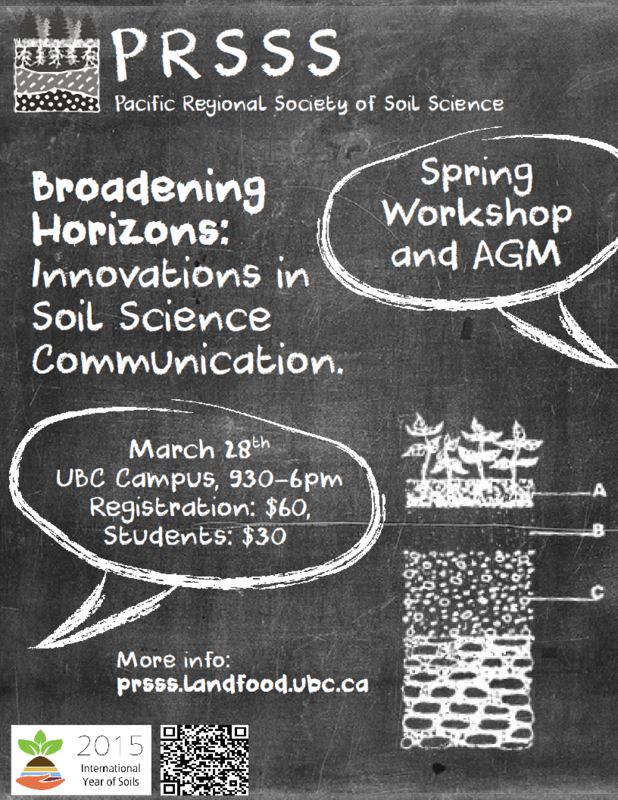 Broadening Horizons: Innovations in Soil Science Communication. 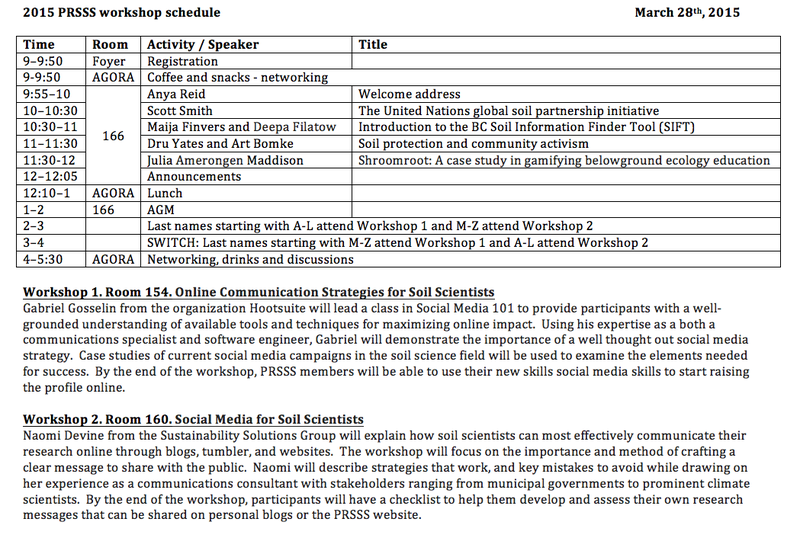 This year’s workshop focused on innovative ways of communicating soil science throughout the world, in honor of the U.N. designated International Year of Soils. A broad range of soil science topics, from soil mapping to conservation advocacy and education, was presented in the morning. Two hands-on workshops in the afternoon taught us valuable tools for improving our communication skills and social media presence as a society. We ended the day with drinks and networking. Click here for photos from the day! Art was raised on a small farm in Illinois, did his university education in that state at Southern Illinois University (B.Sc. and M.Sc.) and the University of Illinois (Ph.D.) and immigrated to British Columbia almost four decades ago. His educational background is in Agronomy, specifically soil and crop management; and he taught courses and conducted research on soil fertility and management throughout his UBC career. Art has also had opportunities to explore social dimensions of agricultural systems through his teaching in the Faculty of Land and Food Systems’ Land, Food and Community core curriculum. He was a long time member of the BC Institute of Agrologists and chaired the Institute’s Provincial Land Use Committee for four years in the 1980s. Art officially retired to Associate Professor Emeritus status in 2011 and continues to pursue interests in sustainable soil management and supporting farmers and farm communities. Deepa Spaeth Filatow is a self-professed ‘earth science generalist’ and an expert on the provincial standards and holdings of terrain, ecosystem and soils information for British Columbia (BC). She is a Professional Geoscientist with the Association of Professional Engineers and Geoscientists of BC and an Articling Agrologist with the BC Institute of Agrologists. She has a BSc in physical geography from UBC Vancouver. She has been the Provincial Bioterrain Specialist for the Ministry of Environment since 2001. Outside of work Deepa enjoys learning, teaching, cross country skiing, telemark skiing, gardening, singing, biking and dining. She is a dedicated wife and mother of two kids. Gabriel Gosselin pursued a degree in Communication Studies at Concordia seeing it as the common thread between the many careers he wanted to pursue. Though coordinating events, managing communications, and developing games were each challenging and rewarding, building tools that enable people in their work is his real passion. Currently building product at Hootsuite, he is surrounded by social media and plenty of animated GIFs. Julia is a Masters student in Forestry at UBC with Dr. Suzanne Simard. She currently spends about half of her time in the lab doing magic with clear liquids in an attempt to answer questions about plant communication via mycorrhizal networks. The other half of her time she is looking for exciting ways to improve science communication via artistic means (such as computer game development). 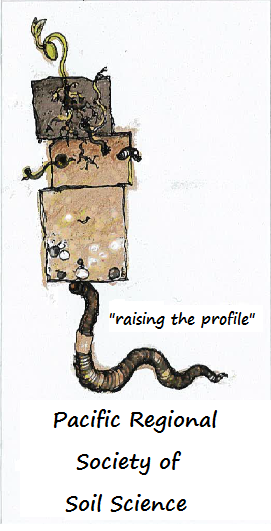 Shroomroot is a product of her science communication efforts, and aims to teach players about a small piece of the belowground life of plant roots and mycorrhizal fungi. Scott Smith is a soil scientist with Agriculture and Agri-Food Canada at the Pacific Agri-Food Research Centre (PARC) in Summerland, BC. He holds a B.Sc in agriculture from McGill University and a M.Sc. in soil science from the University of Alberta. He has 40 years of experience in soil mapping, soil classification and land evaluation in northern and western Canada. Scott worked in terrain hazard assessment in the forest industry on the west coast earlier in his career and then spent 15 years in Yukon working on permafrost-affected soils. As a member of the IUSS Cryosol Working group, he had the opportunity to work throughout the circumpolar north including the Canadian High Arctic, Alaska, Russian Far East and Finland. Scott spent 10 months working for the Organization for Economic Cooperation and Development (OECD) in Paris. He is the former head of the Federal Soil Survey with Agriculture and Agri-Food Canada and is a member of the Canadian Society of Soil Science and the BC Institute of Agrologists. 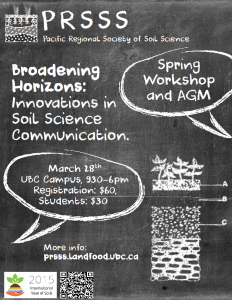 Dru was first exposed to soils during her undergraduate degree in Global Resource Systems at the University of British Columbia, where she learned in some Agroecology courses about the importance of soil. She then decided to take her first soil science course, and hasn’t looked back since! She completed her M.Sc. in Soil Science in the spring of 2014 and spent the rest of the year getting her hands dirty working on the beautiful farmland of Westham Island. Dru was recently part of “Stop the Swap”, a campaign group formed by young people in 2014 in opposition to an ALR land swap that was proposed in the District of Summerland. Dru is passionate about teaching, learning, and science outreach (especially when it involves soil). The Soils Information Finder Tool (SIFT) is an online interactive map used to find soils information in British Columbia. 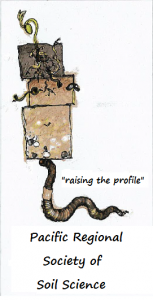 Explore the PROJECT BOUNDARIES to discover Soil Survey projects with links to the report and project information. Explore and click on SOIL POLYGONS for detailed soil survey polygon information like soil name, parent material, drainage and soil classification. Follow the links to the federal description and typical profile for each soil in the polygon. Turn on the AGRICULTURE CAPABILITY layer to discover agriculture capability polygons and classes. This talk, by Deepa Spaeth Filatow and Maija Finvers, will cover an overview of SIFT tool and explore some of the features and functions in a fun interactive format. Thank you to all of our generous sponsors for making this event possible!